Wenches with Wrenches on Sundays! Ladies and lady-identified folks come along on Sundays from 12-2 for some bicycle talk and repair, or just to hang out! We are bringing back Wenches with Wrenches! Women and Transgender people are invited to join the ladies of The Mechanical Tempest on Sundays from 12-2 for an afternoon of bike wrenching. -Help us clean up the space. Learn more about WENCHES WITH WRENCHES on our webpage! There is such a thing as too much bike stuff and particularly when that stuff can be turned into art but hasn’t been. As a free community bike shop we make a point of recycling and re-purposing old/used bikes and bike parts. We take on a lot of stuff that other people would discard. From tubes with holes in them to bikes with cracked frames. We take unwanted derailleurs, slightly used brake pads, baskets, fenders, spokes, you name it. A lot of this stuff gets put onto the bikes that people build up in our space, but sometimes these items are no longer useful on working bikes. In those situations we try to find ways to re-use things which other people may not be able to see a use for. We recently built two stools by cutting up some bent road bike frames and leaving just the seat tube, chain stays and seat stays, popping on a comfy saddle and voilà! a bike stool. Currently the Mechanical Tempest has a plethora of bike tubes, tyres, and scrap metal. It would be great to see it all go to use. So we are invited artists, metal workers, fashionistas and everyday joes to come by the shop and have a go at turning some old bike parts into bike art. Our little side project, Wellington Wünderibke is finally off the ground and riding away on its own two wheel. 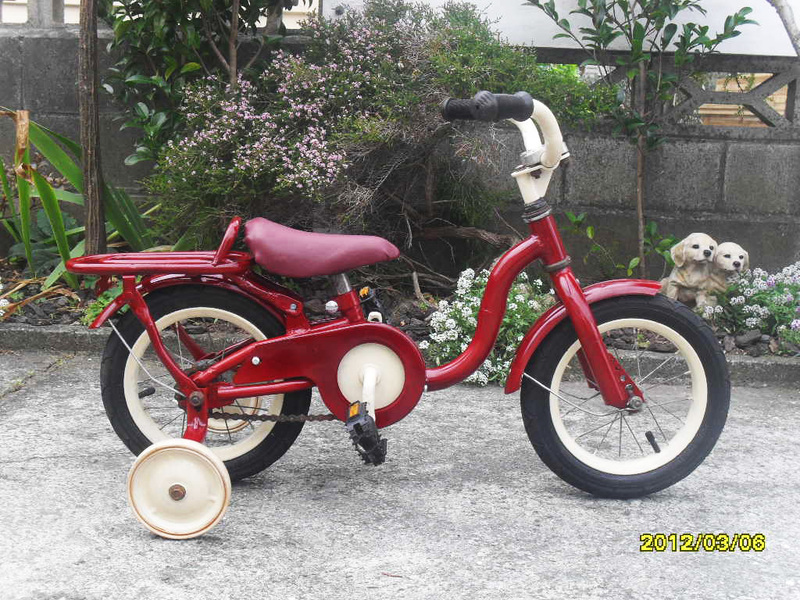 It is an alternative for people who don’t have time to build their own bike. If you are just in town for a few weeks and want a chance to bike around our lovely city visit the Wünderibke website, learn about the project and then come borrow a free bike! I know its just the first month of 2014, but we seem to have endless good fortune this year! Due to Bike Barn shutting down and the normal summer time clean outs The Mechanical Tempest has just gained heaps of great stuff. We got more bikes than we know what to do with, including likes of little bikes for kids. We got enough tyres and tubes to wrap up the whole Brady bunch as Egyptian mummies. Our new member Owen, who we have agreed is very rad, just hooked us up with some next bike tools! We are now open on Fridays thanks to the return of Arthur, one of the founding fathers of the Mechanical Tempest (way back in 2002) and Pepper, an awesome graphic artist/bike painting energy ball. And one final bit of awesome news for us…we just expanded our space by moving a huge shelf and now we have another work stand, a place just for wheel building and truing and heaps of shelf space for all the bits and pieces that we recently acquired. We had a chat with Simon Morton of Radio New Zealand the other day for his This Way Up segment that looks at the things we use and consume. We’ll be on the air this Saturday 7 April, at 12.10pm on Radio New Zealand National 101 FM – exciting! If you’re not a regular radio listener we’ll put up the podcast once it’s available. Could be an absurdly dangerous DIY project using some of our kids’ bikes? If you know someone who can’t find a bike small enough to fit them, Neville is happy to help out! Email us and we will forward his contact details. Patrick Morgan on On the radio! Simon Morton on On the radio!